CaterZen is proud to introduce our Build-Your-Own BEO Template tool, which we're giving away free to any clients on our Marketing Pro-Plus Catering Software. 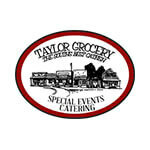 Save hours a day building Banquet Event Orders. With the ability to create an unlimited number of completely customizable BEO Templates, you can cut your workload in half. What good is a template if you only get one at your disposal. 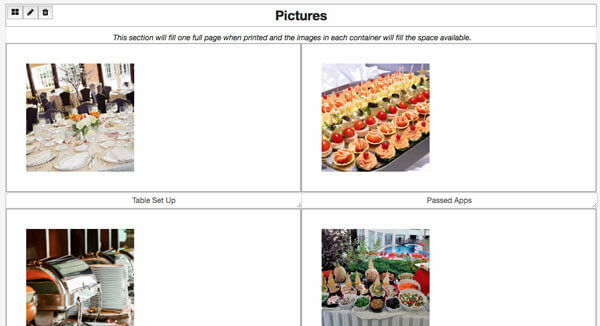 Just like our Catering Proposal Templates, you can create an unlimited number of them. Imagine a separate BEO Template for each type of catering. 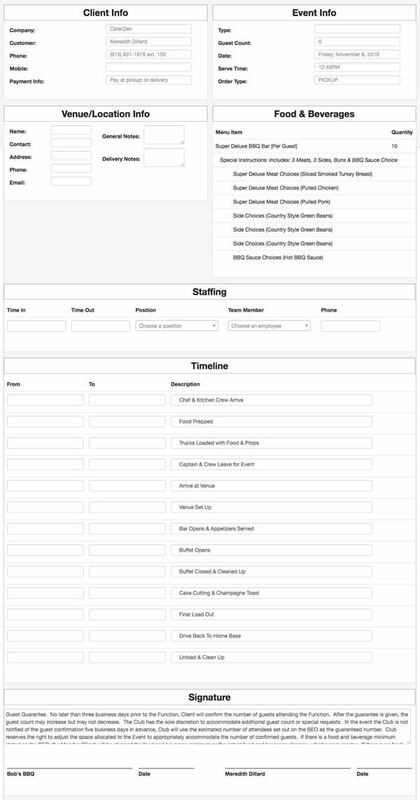 You can prefill recurring timelines, staff positions, pictures, etc. Select the BEO Template you need and complete it in minutes; not hours. A few minutes spent creating a BEO Template today will save you hours down the road; especially in the heat of busy season. Each template is completely customizable, and can be edited, deleted and/or cloned. If you'd like to see an example of the templates we offer with our software, you can download our free BEO template sample here. It's an Excel spreadsheet that you can easily edit. There is nothing worse than needing a PhD in computer sciences to get something working in software. We built you a BEO Template Creator that allows you to add/subtract as many modules as you want. You can drag and drop anywhere in the template, as well as choose to make any section a half- or full-width page. This way you get a finished template that works the way you do. The BEO Template builder comes with pre-filled fields from your event and venue database that can be added in and left as is or edited. You can even create your own fields or sections. Just about anything you need on your BEO can be created with this tool. Let’s face it. A picture is worth a thousand words. How much more effective will your team execute an event with a picture of room layouts, table settings, buffet setups, etc.? In keeping with our focus on tools that are easy-to-use, yet robust, you can create an unlimited number of picture pages in your BEO Templates. Choose from 1, 2 or 4 pictures on the page with the ability to write a short note under each one. Are you known for your Cowboy Cookout? Pre-load each and every picture your team would need to execute flawlessly, and they are all there any time you need that template. Need to change out a picture for a particular event? You can do that on the fly. "The new BEO feature was a game changer for me. Your system allowed everything to flow - from loadout sheets to the timeline to a schedule listing every employee's check-in time and job listed. It saved me many questions by employees and allowed me to manage the event. Thanks again CaterZen without you this would not be possible for me and my team."